Now that I have a proper, cost-effective miniature storage system in place for the eleventy-three thousand miniatures I expect to get from the Reaper Miniature Kickstarter Campaign (both the Mrs. and I splurged on the Vampire level), I'm looking to off-load some of my older paper miniatures. Paper miniatures can be pretty awesome. I still enjoy making paper minis with Hero Machine for my new PCs, but I don't use the paper minis as much anymore. 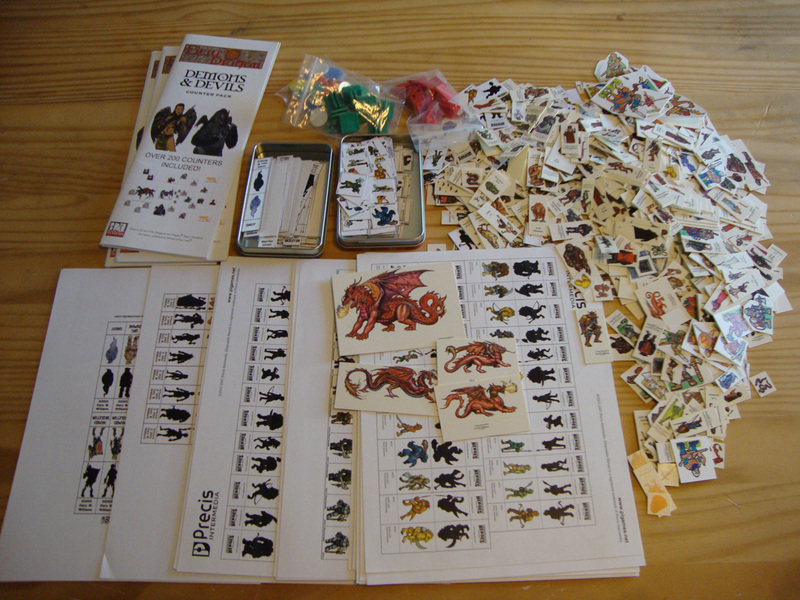 Back when a lot of my games were out of the house, especially at conventions I had to fly to, paper minis were the perfect solution for me. I've used several types over the years, starting with some pre-printed Cardboard Heroes from Steve Jackson Games. If it wasn't for all these lightweight Bones miniatures coming in, I'd probably re-purchase the whole set now that I can get PDF copies. Included in my collection are vertical minis and flat token-type minis as well. I have a number of miniature bases, some from Steve Jackson Games and some from Koplow. The SJG mini bases are about the best plastic bases I've ever used, but they have been out of print forever it seems. If you get a chance to purchase some, I'd jump on it. In a pinch, a great substitute are mini binder clips. Once you grab the bottom of the mini you can take off the clip's arms. I have an assortment of those I'll try to toss in as well. Ok, down to the details. Up for grabs is a collection of various paper miniatures and some miniature bases. The miniatures themselves consist of vertical minis and flat tokens. 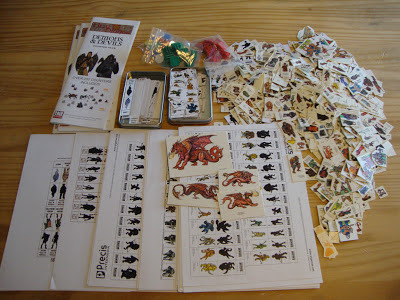 There are printed sheets of miniatures still waiting to be cut out and some token packs I've never even opened, or opened just to take a look at the contents. Just the paper "stuff" weighed in over 2 pounds. The rules will be simple. All you need to do is follow this blog. 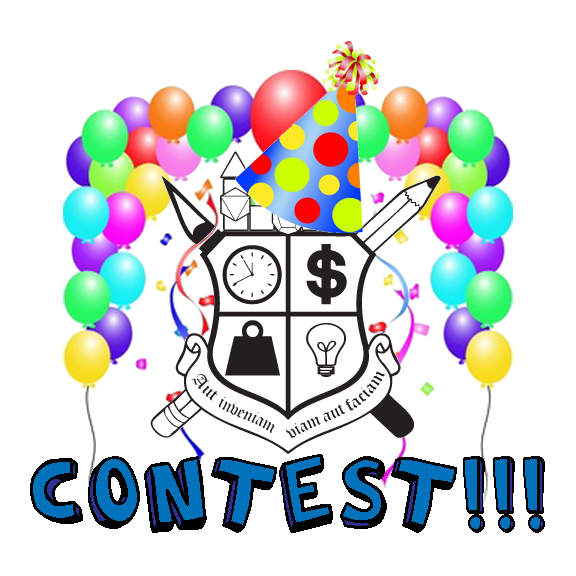 This mini-contest (pardon the pun) will run for 1 full week and end on March 1st. I'll just roll randomly using my Maptools die roller function /r 1dx, where x is the number of followers, and then just count down the list of folks to determine who has first crack at the minis. I realize that some may not want them, so I'll just "dice off" again until we locate a winner. 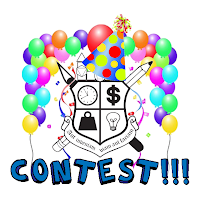 This is intended to be a quick & easy contest. I'll take care of shipping within the US and pay for the 1st $10 of shipping outside the US, should that end up being the case.